Within walking or tuk-tuk distance from Banglamphu, you will find the old historical area called Rattanakosin. The area is situated along the Chao Phraya River a little north of Chinatown. 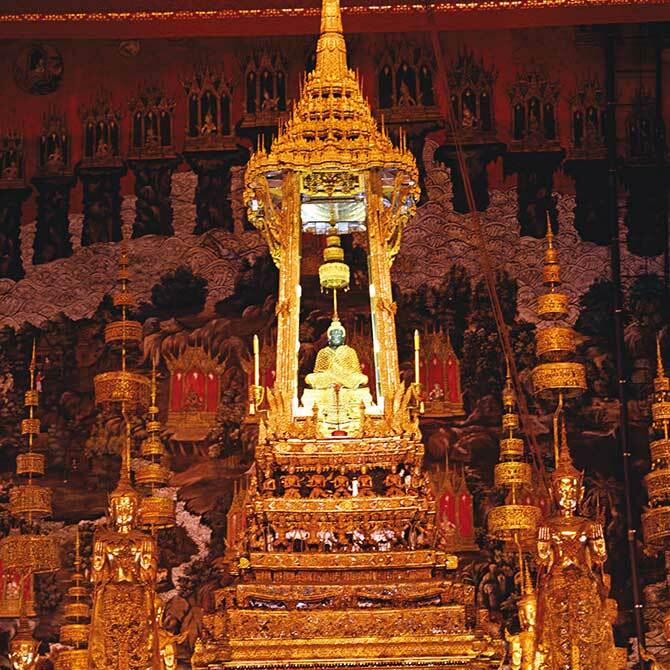 Here you will find Bangkok’s most impressive temples and historical attractions. The most famous of these are The Grand Palace and Wat Phra Kaew. If you are hungry for more temples, don’t miss Wat Pho and Wat Mahathat either. Although we encourage you to be open and welcoming towards strangers in Thailand, Rattanakosin is one of the areas in Bangkok where you should be cautious of strangers approaching you, as the amount of tourists here attracts various kinds of tricksters. 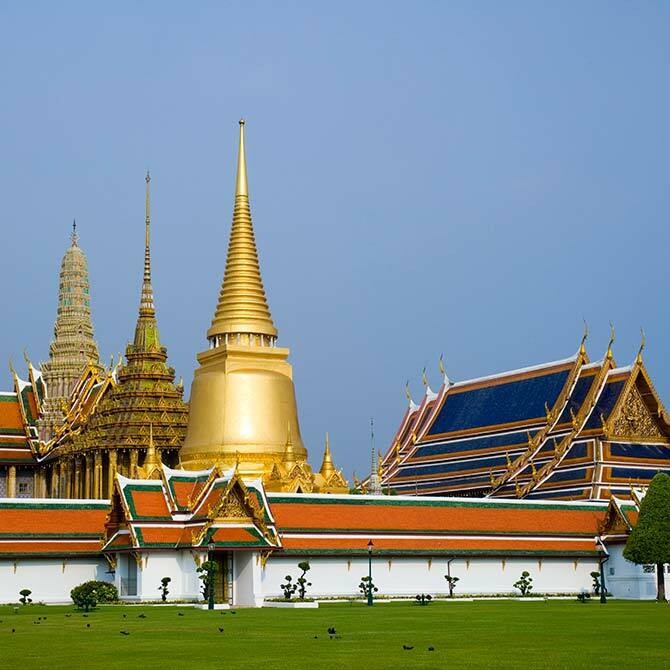 Once the residence of the Thai royal family, the Grand Palace is still used during special events and ceremonies. The palace grounds are partly open to visitors, who can enjoy the gracefully ornamented buildings and temples on the grounds, along with the museum. 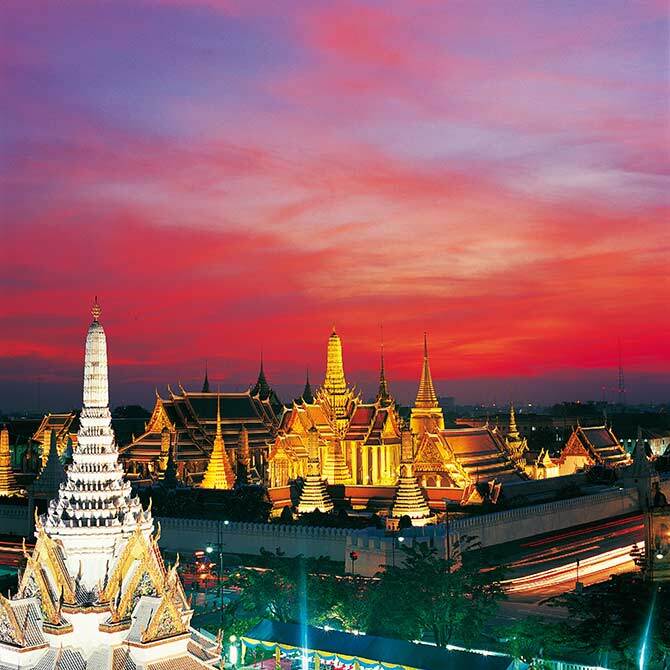 Within the grounds of the Royal Palace, you will find Wat Phra Kaew (Temple of the Emerald Buddha), Thailand’s most sacred temple. 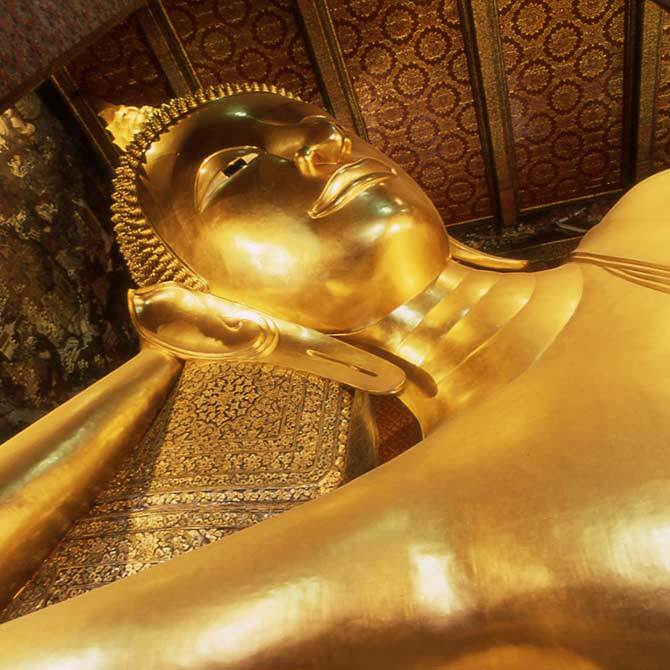 Just behind the Grand Palace, you can visit Wat Pho, home to the world’s larges reclining buddha. 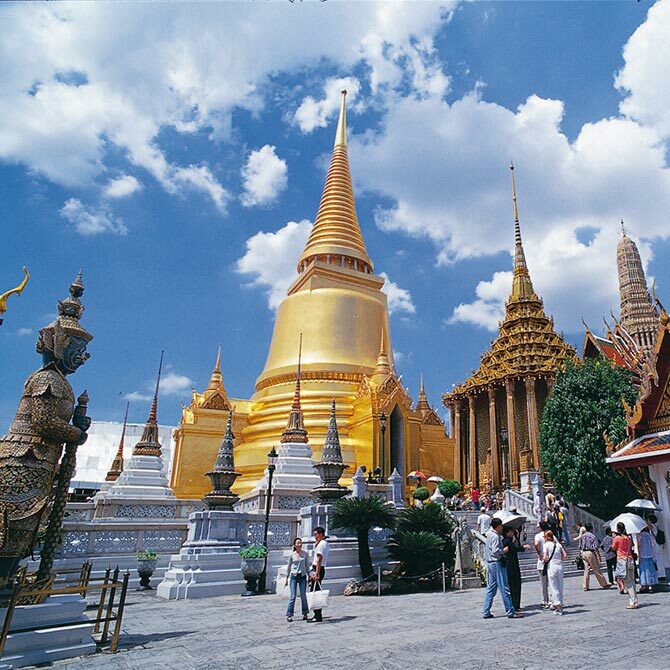 The temple is believed to have been built in the late 1600’s, and is considered one of Bangkok’s oldest. This beautiful temple is located across the Chao Phraya River on the Thonburi side. 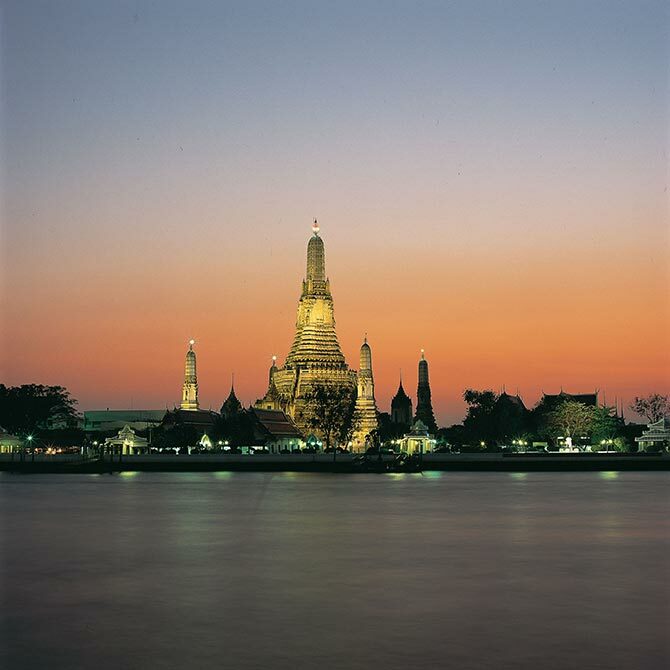 The temple is also called “The Temple of Dawn”, since the first rays of morning sun reflect on the coloured mosaics of Wat Arun. In the evening, the temple is lit up giving a stunning backdrop to the river. Wear modest clothing covering legs and shoulders. 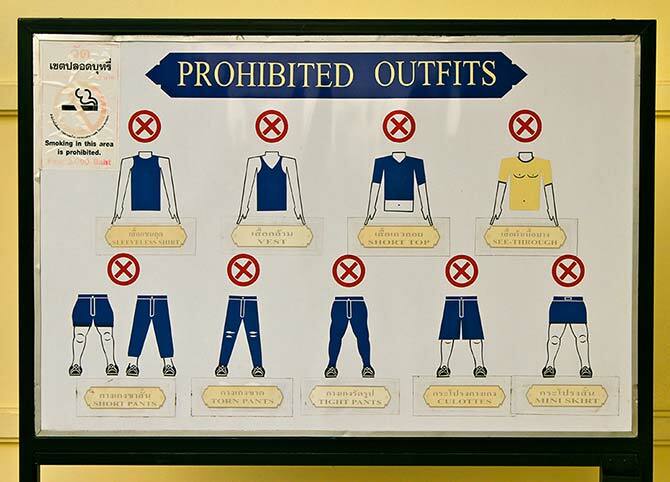 Sarongs can be borrowed against a deposit at the entrance in case you forget. Tourist scammers are common in this area – do not believe anyone telling you that the Grand Palace is closed to visitors (8.30 am – 4.30 pm) or who tries to lure you into a “free” tuk-tuk tour! Rattanakosin does not have that many hotels, especially in the high end category. Both Chinatown and the Khaosan area of Banglamphu have hotels with short distance to Bangkok’s historical area. However, you are still not out of luck if you are looking for somewhere special to spend the night in Rattanakosin. Check out our recommended hotels here. Walking distance to Khaosan Road and the most important historical and religious attractions in Bangkok. Siri Poshtel has an international atmosphere and has the basics covered plus a little extra for budget conscious travelers. On “the other side” of the Chao Phraya River, this little gem gets you straight into local neighbourhood life tucked away from the tourist buzz, yet within a short boatride to where it’s happening. Few rooms plus sky-high popularity means that you should book in advance. As you are in the historical area of Bangkok, you might as well fulfil the experience with classic Thai luxury and attention to detail. The tranquility of this place makes this a Bangkok favourite.